THE BEADY EYE SAYS: IT IS TIME TO PUT PAY TO THE TRAVELING EU CIRCUS COSTING £9/10 BILLION TAX PAYERS MONEY. The EU project suffers from not having any real democratic legitimacy – without constitutional accountability, it is heading for trouble. The unaccountable nature of the EU, coupled with the hardship caused by the “austerity for some, gravy trains for others” policies and the failure to either deal with the still-mounting debt crisis, and the real problems caused by all this and the lack of support for any further social, economic and political integration, it’s debatable whether the EU will even survive for long… just wait till the next crisis hits. A self-created bubble for the MEP’s where their loyalty to the EU above the people is assured by massive wages, expenses and pensions and if kicked out by the electorate in elections they’ll get other jobs in the Commission or the wider EU structure. On top of all this we have Strasbourg a symbol of waste and stupidity – the perfect example of all that is wrong with the EU. True democracy at work. No one gets a vote on it. Approximately 10 per cent of the Parliament’s annual budget, between €156 and €204 million is spent to sustain this traveling circus. Between 3,500 and 4,000 people every month set out for Strasbourg – this includes MEPs, assistants, political group staff, parliament staff, interpreters and translators. This is done by trains, by air and by road. In order to transport the 2,500 trunks and all the equipment required for the plenary session a large convey of trucks travel the 409 kilometers from Brussels to Strasbourg. This is then reversed four days later. Among the costs are £250,000 a year to transport the plastic boxes containing documents, diaries and other items from Brussels to Strasbourg and back again. £2.5 million bill for relocating freelance translators from Brussels to Strasbourg and back again, including costs of travel, accommodation and other expenses. Depending on how you read it, you might find the E.U.’s tendency to translate nearly everything it does into all 24 of its official languages a testimony to its internationalist glory or a wasteful use of resources. By E.U. custom, all public E.U. documents are translated into every language. All high-level E.U. meetings are the same way. The European Commission says it employs 1,750 linguists, 600 full-time interpreters and 3,000 freelancers. In Strasbourg, extra money is needed for computers and IT support and for maintenance and security of the sleek parliament building, which was completed in 1999. In total, the cost of looking after the French buildings and infrastructure and other charges comes to about £50 million a year. About 100 people are employed in Strasbourg full-time, even though the European Parliament meets for 12 sessions, each lasting four days, a total of only 48 days each year. Hotels in Strasbourg typically double their rates when the EU comes to stay. Last week, the Hilton Hotel in Strasbourg was offering rooms at £82 for Sunday night, but this rose to a cheapest rate of £161 a night for Monday, when the sessions begin. Naturally, the French are totally opposed to ANY CHANGE not only because of the €20 Million it provides to the Strasbourg economy each year but also because it is an important European symbol within France. Why does the European parliament move from Brussels to Strasbourg once a month? It is a disgrace that €9.5 million is wasted in this way every month. Strasbourg is the official seat of the European Parliament, so the EU treaties would have to be changed if that were no longer the case. A final decision would rest with the member countries. The so-called traveling circus that sees MEPs and staff decamp from Brussels to Strasbourg once a month has long been a bone of contention. It costs the institution some €114 million a year to make the trip. In a November 2013 resolution, MEPs called for a treaty change to allow Parliament to decide where it sits. Over three-quarters, of MEPS from across the political spectrum, want to abolish this practice but they have no power to change it. Under the Lisbon Treaty the parliament is legally bound to meet 12 times a year in Strasbourg. A session takes place every month – except in August but a second session in September or October replaces it. This can only be changed if unanimous agreement on the issue is reached at a European Council Summit – a meeting of heads of Governments of each Member State. The EU’s national governments unanimously decided in 1992 to fix the seats of the EU institutions permanently. This decision also affected the working arrangements for the Parliament: its official seat and the venue for most of the plenary sessions would be Strasbourg; parliamentary committees would have their meetings in Brussels; and Parliament’s Secretariat (its staff) would be based in Luxembourg. In 1997 this whole arrangement was incorporated into the EU treaty. Any change in the current system would need to be part of a new treaty, agreed unanimously by all 28 member states and ratified by each of their national parliaments. However only with a workable alternative for Strasbourg could a French veto be avoided. I can fully appreciate that if you move an existing institution, the member state which currently houses it will also have to be compensated, setting off a chain reaction. So you have to give proper consideration to all of the links in the chain before you come up with a proposal. For the foreseeable future, I honestly don’t think so. Unfortunately, France will never agree, which holds a veto. The continuation of the monthly migration between Brussels and Strasbourg has for most EU citizens become a symbolic, negative issue (…), especially at a time when the financial crisis has led to serious and painful expenditure cuts in the member states”, said the resolution, which was approved by 483 votes to 141, with 34 abstentions. France and Germany got everything they wanted and everyone else got shafted.. French MEPs could quit the largest political group in the European Parliament if their colleagues support a plan to scrap the assembly’s base in Strasbourg. It’s up to us with the power of Social Media to demand a stop to this blatant waste of our hard-earned money. 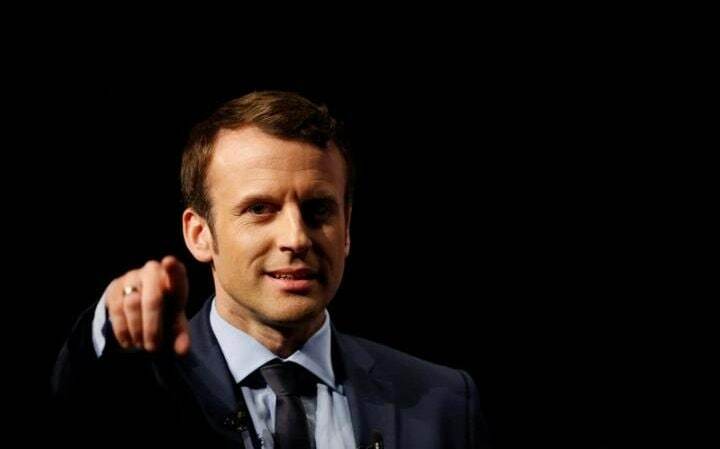 There is only one way and that is by bombarding Emmanuel Macron the new French President through Social Media with the following message. Not a one day bombardment but a sustained bombardment. The Strasbourg-Brussels merry-go-round has gone on long enough, it’s deeds, not words, that count. With due respect The European Parliament’s travelling circus represents all that is wrong about the EU in the eyes of electorates across Europe: A useless and huge cost for our European community. 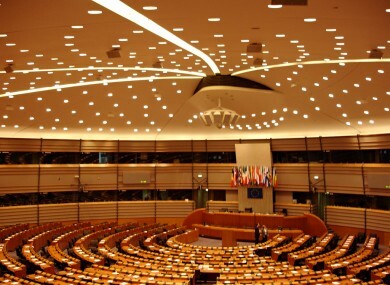 A recent study by the European Parliament shows that €103 million (£85 million) could be saved each year if all European Parliament operations were transferred from Strasbourg to Brussels. As a taxpayer I have no objection to maintaining the status quo, providing the total costs are financed by the French Tax payer. They say the definition of madness is doing the same thing repeatedly and expecting different results. The unnecessary waste and the political stalemate that perpetuates it must stop. This craziness has to stop. Yours sincerely: …………………………………. ] EU Citizen.